A round up of this week’s news in brief. Consultancy Space has appointed Jason Nicholas as joint managing partner, working with David Atkinson, co-founder and managing partner. Nicholas previously spent 15 years at Billington Cartmel. Illustrator Nuria Riaza has created a mural for the meeting room of Manchester-based consultancy Music. This is the third piece in the consultancy’s Fish Tank initiative, which sees it collaborate with illustration agency Handsome Frank to showcase the work of student illustrators, with each piece inspired by a song. Artist Gayle Chong Kwan has created a large-scale photographic mural at the Castlegate shopping centre in Stockton-on-Tees. 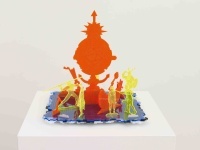 The piece, Arripare, depicts a mythical island. Consultancy Green Room has appointed Oliver Disney as head of business development. Disney joins from McCann, where he spent nine years as business development director. 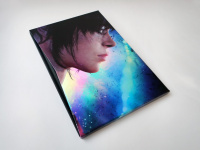 Fluid has designed Sony Computer Entertainment’s new book Beyond: Two Souls. The book promotes the game of the same title, which looks at questions about what happens after death. James Deeley has been appointed creative strategy director of Amaze. 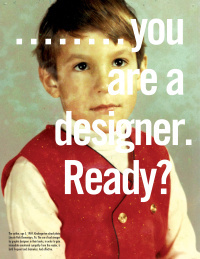 Most recently, Deeley was creative director and head of creative strategy at TH_NK. Atticus Creative has created a series of origami animals as part of its work with London hospital The Harley Street Clinic’s paediatric services and facilities. The campaign aims to convey the concept ‘The art of Paediatric Care’. Elmwood has appointed David Jenkinson as creative director of the London design team, and Matt Michaud as global provocation director – insight and innovation. Jenkinson joins from Interbrand and Michaud from PRS and Flamingo. The appointments follow the departure of Elmwood London managing director Elliot Wilson, creative director Adam Ellis and deputy managing director Andy Paul, who formed The Cabinet in July. 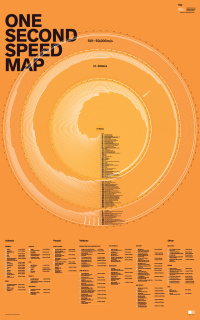 Something & Son has worked with car brand Hyundai and the Design Museum to create a car-powered aquaponics urban farm. The Fuel Cell Farm operates by taking the water emitted by the hydrogen-powered Hyundai ix35 Fuel Cell and filtering this water into the fish tank. The aquaponics technology then harnesses minerals from the fish waste to grow the plants on the farm. It aims to educate people about the benefits of hydrogen fuel cell technology. The Partners has created a new website for Investec Asset Management. The new site feaures personal staff profiles and a new photograph style that aims to show ‘the human side of the business’, according to The Partners. 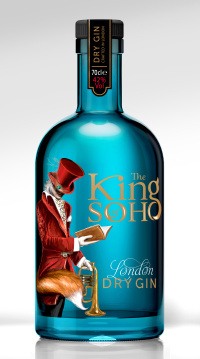 1HQ has designed the branding and packaging for the King of Soho gin, a new brand founded by Howard Raymond. The designs aim to ‘encompass the historic spirit of Soho and its anything goes attitude’, according to 1HQ. HMKM has designed the new Galeries Lafayette store in Beijing, looking to translate the feel of the Parisian Galeries Lafayette for the Chinese market. Frequency 13 – what does ‘digital’ really mean?